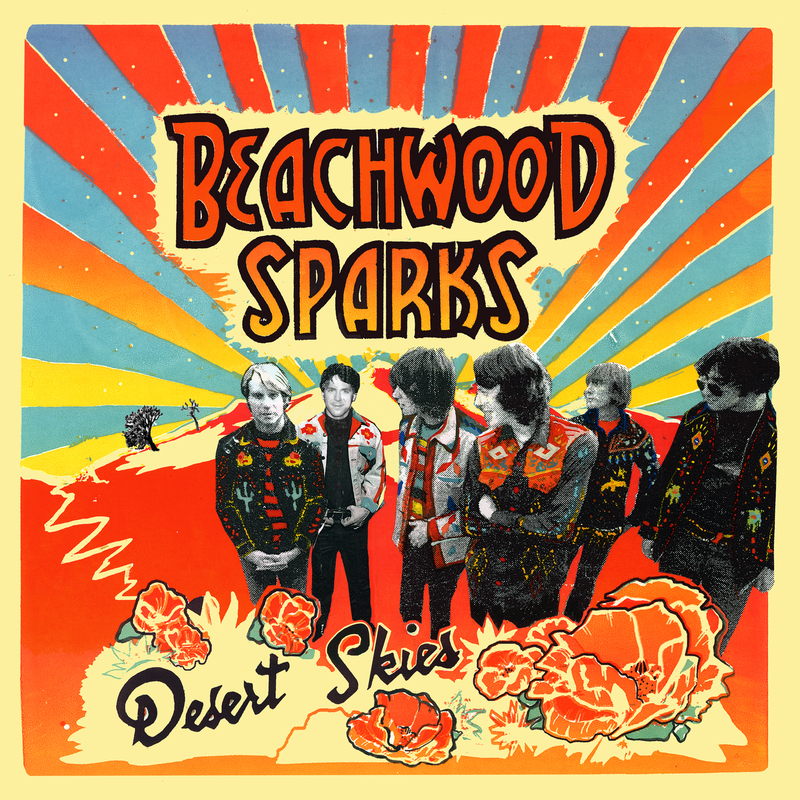 Beachwood Sparks is a Los Angeles based group that has become slightly well known for keeping the embers of West Coast country rock burning. Formed in the summer of 1997 from the ashes of the decidedly indie rock groups Further and Strictly Ballroom, the six musicians gathered at the intersection of Beachwood Dr. and Sparks St. (not kidding) and began rehearsals for their new band. 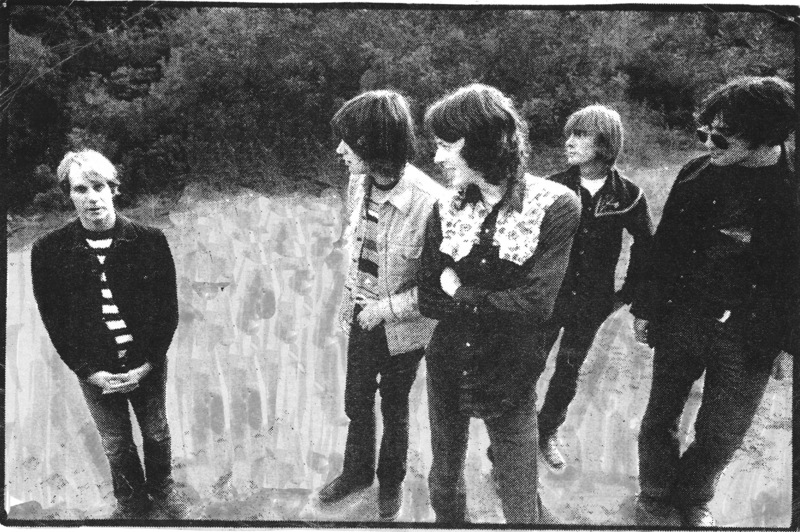 Not even the rains of El Niño could douse the flaming sword of psychedelic country rock that they forged in that shed over the course of that summer. And now from the same folks who brought you their debut 7″ single comes the unheard “lost” record that ignited that original fire. 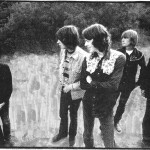 Crackling with lo-fi energy left over from the Further days and pillowed by the mellow psych-country folk that Beachwood Sparks would come to be known for, Desert Skies features remastered and unheard mixes and is a perfect snapshot of a band playing what they feel, unaffected by anything other than their own lives and surroundings; in this case deserts, beaches and canyons. Desert Skies was recorded by the original six piece line up of Brent Rademaker (bass/vocals), Chris Gunst (guitar/vocals), “Farmer Dave” Scher (lap steel/organ/vocals), Josh Schwartz (guitar/vocals), Pete “Sleigher” Kinne (percussion/vocals) and Tom Sanford (drums/vocals). Untitled at the time, the record was made at Josh’s studio “The Space Shed”, nestled in the sleepy foothill village of Sierra Madre. It was originally intended for release on the Christmas/xmAs label run by Brent out of his house on Sparks St. in Burbank. Desert Skies is a homemade Southern Californian affair, a time machine that sends you back to the time of their defining summer residency at Spaceland in Silver Lake when the band was regionally known for its dynamic live shows, opening for the likes of Beck and Lou Barlow. 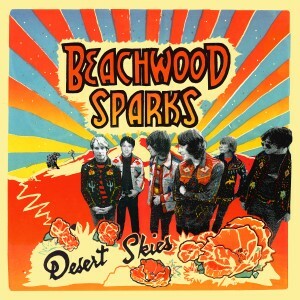 Beachwood Sparks would eventually slim down to a four piece, parting ways with Josh, Tom and Pete and go on to release three albums; Beachwood Sparks, Once We Were Trees and The Tarnished Gold (Sub Pop Records), along with a handful of singles. Josh released his acclaimed Painted Hills record in 2010 (Bird Song/Parasol). Tom went on to drumming with other groups and to his own beat as an ecologist in Humbolt County. Pete “Sleigher” Kinne sadly passed away in Hawaii in 2005, leaving behind a small but heavily-admired batch of solo recordings. Brent, Chris and Farmer Dave continue to carry the torch of Beachwood Sparks along with various other musical and life endeavors. Desert Skies can remind us all of a magical time 15 short summers ago. Like the song says, “losers need some winnings and stories need beginnings” and this was the beginning of Beachwood Sparks. OUT NOV. 26th THROUGH ALIVE NATURALSOUND RECORDS. LIMITED EDITION OF COLORED VINYL AVAILABLE EXCLUSIVELY ONLINE THROUGH BOMP! MAILORDER.